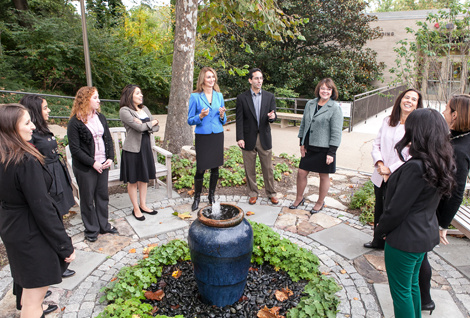 Guided by a passion to transform organizations and individuals, The Wynhurst Group offers unique services designed to help organizations maximize leadership and organizational potential. We are founded on the belief that people are an organization’s greatest asset and we work with our clients to lead, develop, and nurture this important resource. Our unique approach focuses on providing leadership development, executive coaching, and consulting services to transform individuals and organizations, thus enhancing performance and results. Examples of ways we can help include: assessing organizational and team culture, engaging and motivating employees, identifying and developing leaders who can take your organization to the next level, creating high-performing teams, and transforming individuals and organizations. Ilona’s proven ability to establish rapport with individuals at all levels of an organization, particularly C-suite executives, is one of her major strengths. Lisa Sper, Vice President Federal Management Partners, Inc.